My name is Gwendolyn Koch. I’m a piano teacher at Burien Music & Arts! 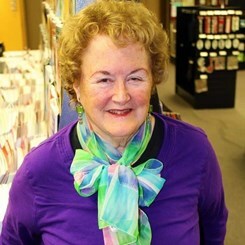 I’ve taught ages 5 to 80, and I obtained my Bachelor of Arts from Seattle Pacific University. I’ve always been a performer, and have been so happy to be able to teach other people to become performers as well! There’s a famous quote, “Music speaks when words fail.” I find that to be quite true. Music can be performed at funerals and celebrations. It can heal sadness, and extend happiness. Music is a form of expressing emotion, and I love to see my students grow to enjoy music the way I do! In order to give my students experience, I host recitals every three months, with varying music themes! From Christmas music to patriotic music, my students get the chance to learn and perform many different types of ethnic music!